A Girl & Her Food: Ramen Battle 7 @ Yusho Charlie McKenna VS Lee Wolen tomorrow!!!! 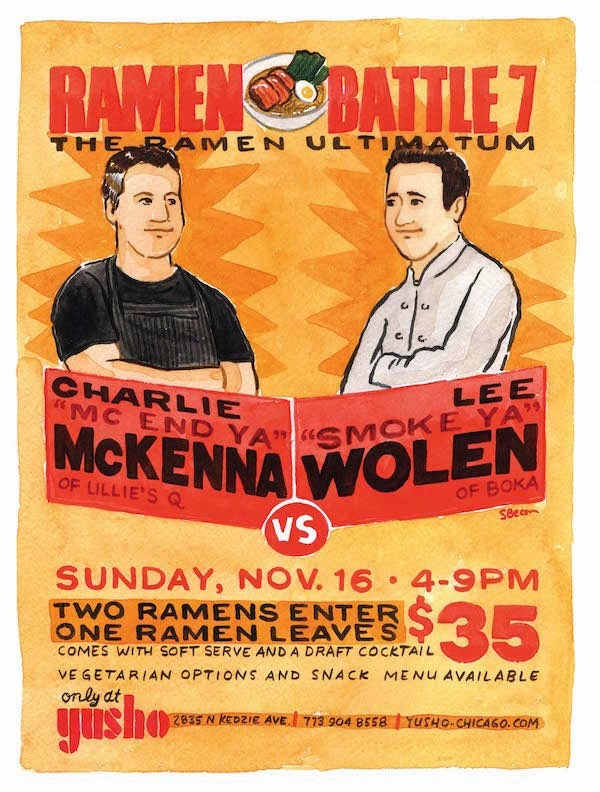 Ramen Battle 7 @ Yusho Charlie McKenna VS Lee Wolen tomorrow!!! !